A few weeks back, I had a friend visiting from out of town (who used to live in Denver) and when I asked him what was on his itinerary for his trip, the first thing he replied was “I need to pick up the new Pueblo Escobar album.” The group features former members of Kingdom of Magic, Il Cattivo, Clusterfux and Git Some including frontman Luke Fairchild (who, after a brief hiatus from the Denver music world, is back with a vengeance). Their debut album, released by Sailor Records, does not disappoint, and if you are a fan of any of their previous projects you will hear the familiar influences of all four. A highlight of the album is the third track “The Forgotten Pugilist” which features a powerful bass line, heavy drums, great lead guitar riffs and the droney-yet-melodic power chords that defines the sound of these Denver-metal powerhouse musicians. 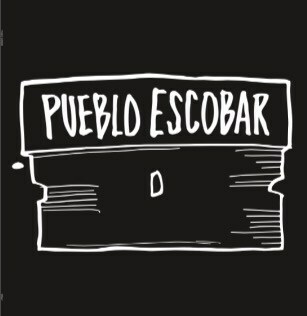 I don’t consider myself the biggest fan of this genre, but some of my favorite local shows over the years have been by these guys’ previous bands, and judging from the recording of this album, I can’t wait for the privilege of catching Pueblo Escobar live this summer.